FinTech is expected to revolutionize business and, indeed, the broker channel. A recent report delves into some of those developments, including some trends brokers need to know about. “I think the channel needs to evolve, and I think technology will play a big part of it – finding faster and more efficient ways to process the business and make it more cost-effective for lenders as well as for brokers,” Dong Lee, president of Mortgage Architects, recently told CMP. “I think these FinTech companies, whatever or however they look like, will start to define how this channel evolves. I think it’ll be for the better because we’ll have to find more effective ways to do our business. In short, if the broker channel doesn’t embrace changes in technology, it could be left behind. 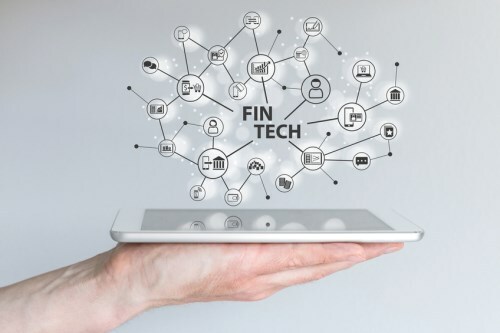 A recently released study, FinTech in Canada, looks at how financial technology is revolutionizing certain industries. This is what brokers need to know. Big banks (read: the broker channel’s main competition) are investing billions in technology in a bid to gain easier access to consumers. "As just one example, Royal Bank of Canada both creates FinTech in-house with developers in Orlando and Silicon Valley and also externally as part of the US-based R3CEV, a blockchain technology consortium investigating tech solutions for future uses of the Blockchain, which recently filed for its first patent for its distributed ledger platform," the report said. There was a great quote from a long term silicon valley angel investor in Forbes last week: "Banks think throwing money at Fintech will buy them the future, it won't, banks are not natural disruptors like we are"
Don't get me wrong banks have the incredible advantage of being rich. It is a huge plus. They have the cheapest source of capital which is an even bigger plus. They have the disadvantages of legacy (branches), inefficiency (meetings to schedule other meetings) and the need to constantly achieve big profits (UBER loses a billion a year) all that being said the cost of capital likely leaves them in the drivers seat. I think mortgage brokers need to be nimble and concentrate on speed and efficiency, impress clients by how fast you can process applications and get results, manage docs digitally and work on a mobile basis. Broker lenders need to wake up and support e-signing and photo documents or THEY will be left behind.